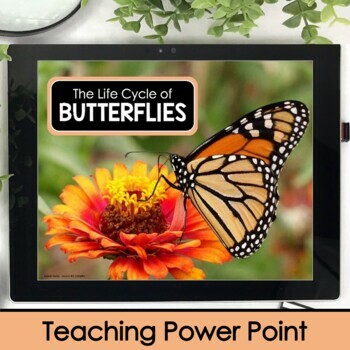 This comprehensive butterfly life cycle unit combines science, reading and writing with hands on leaning labs for first grade, second grade, and third grade students to learn about the stages in the life cycle of butterflies, pollination, the compound eye, metamorphosis, adaptations and so much more! 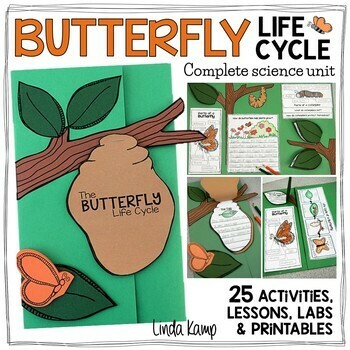 Whether or not you raise live butterflies, this quality science resource is the perfect addition to your butterfly life cycle activities. 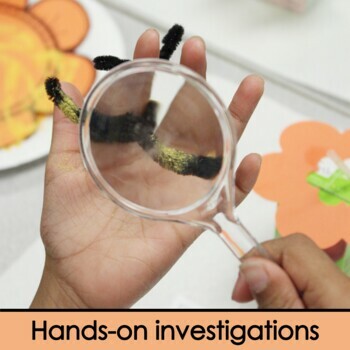 Packed with over 25 highly engaging activities. The hands-on mini-lessons, experiments, activities, and printables provide rigor and depth, but most of all FUN! 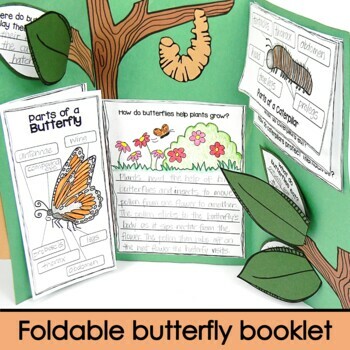 Get your students writing about science as they complete a culminating project perfect for assessment in a foldable butterfly life cycle booklet. These make a great open house display, too! Each component of the butterfly booklet aligns to a mini-lesson. Students learn about it, write about it, then add it to their booklets. Mini-lessons include visuals that can be projected during the lesson or printed as a reference chart to display and support students in working independently. Several activities can be easily included in your literacy centers. Please note this file is not editable. How Do Caterpillars Protect Themselves? Compound Eye: What Do Butterflies See? How Do Butterflies Help Plants Grow? Math Journal Measurement Activity: How Far Did the Caterpillar Crawl? Several of the templates include multiple versions of the writing prompts and mini-book pages to customize your booklets and easily differentiate.